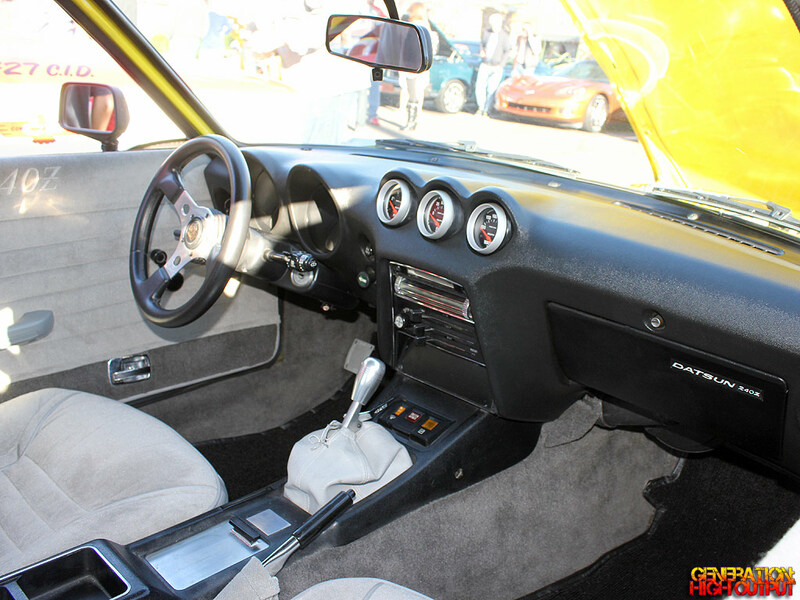 Yesterday’s post featured a Nissan 280ZX with a Chevrolet LS1 motor. 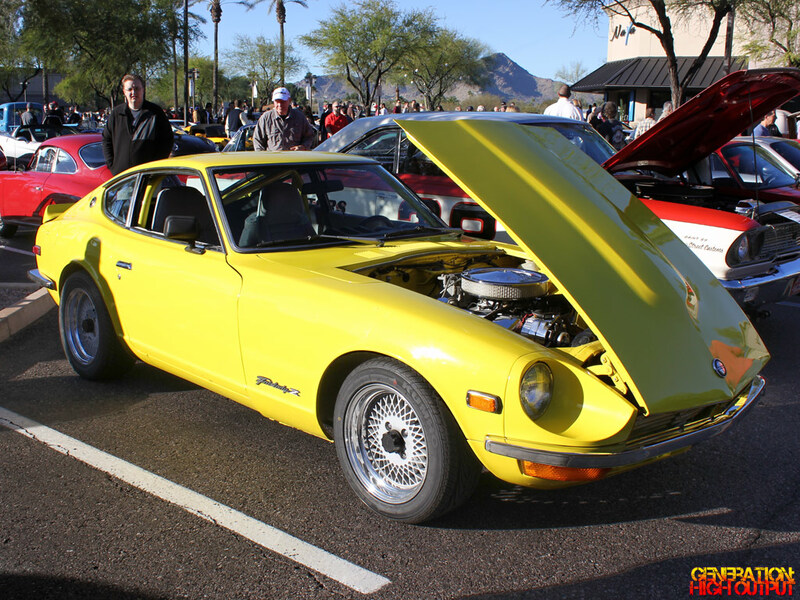 If you take that same concept and turn back the clock, you would have this car: a Datsun 240Z with a small block Chevrolet engine. 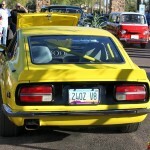 I crossed paths with this car at a show in Scottsdale. Unfortunately I did not get to meet the owner, so I don’t have too many details about the vehicle. It has a Chevrolet V8 engine under the hood, which is a great choice for both power and reliability (not to mention, much more affordable than an LS motor). 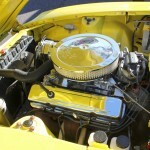 I can see that it has an Edelbrock Performer intake and air cleaner, but I cannot tell what carburetor it is running. I like that it has an appropriate Optima Yellow Top battery to match! This car seems to be set up for racing, with its nice wheels and roll bar. 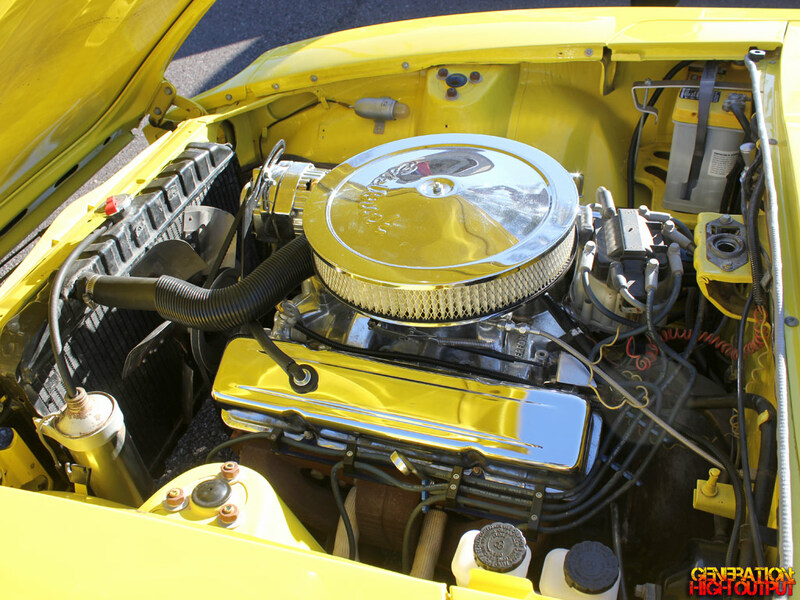 The yellow paint looks sharp and definitely attracts attention! I bet it’s an absolute blast to drive. 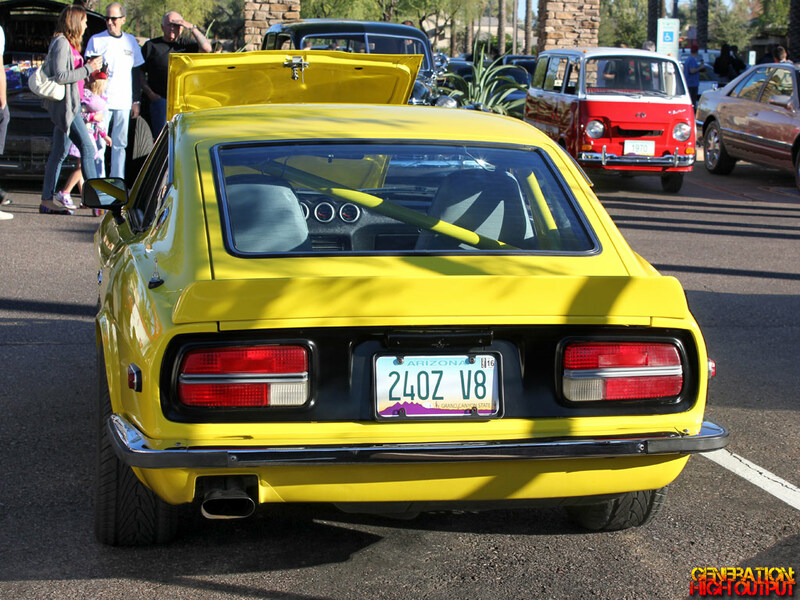 This entry was posted in Cars and Coffee and tagged 1970's, 240Z, Chevrolet, custom car, Datsun, engine swap, track car by Trevor Freeman. Bookmark the permalink.